“As Catholics,” the homily there began, “we are a sacramental people.” After that, and a bit more of a preface, the preaching took the form of a tender letter to a young woman who was receiving confirmation that day. For the most part the liturgy was familiar, though without the bishops’ 2011 translation adjustments; “only say the word and my soul shall be healed,” the congregation still said. Deftly, also, they avoided referring to God with feudal honorifics or gendered pronouns (though the Holy Spirit got a “she”). Communion included a gluten-free option. And after the liturgy was over, bewilderingly, nearly everybody stayed for an organizational meeting. The priest was among the most skilled presiders I’ve ever had the chance to witness; the words of the liturgy came across with both the experience of years and the freshness of the moment. The priest was also a woman. Light of Christ belongs to the Ecumenical Catholic Communion, an “independent Catholic” network with its own parishes, priests and bishops around the United States and Europe—Catholic in name and style but not formally in communion with Rome. Communities like this are more widespread than many Roman Catholics realize. Julie Byrne, a Hofstra University professor and the author of the landmark new book The Other Catholics: Remaking America’s Largest Religion, estimates that there are as many as a million independent Catholics active in the United States. Their predecessors go back centuries. Some believe the Second Vatican Council went too far and cleave to Latin Masses; for others, the modern Roman church hasn’t jettisoned enough old prejudices. For Byrne, a friend and occasional collaborator of mine, her decade-long sojourn in independent Catholicism has been personal as well as academic—“partly an attempt,” she told me, “to see a broader range of answers to questions about what it means to be Catholic.” She has come to recognize these non-Roman Catholic communities less as outliers than as integral parts of American Catholic culture as a whole. They are labs for experimentation and preservation, places of refuge for the adrift. They offer Communion and marriage to people Roman canon law has turned away. In many places, Byrne has found, Roman and independent pastors maintain good working relationships—albeit quiet ones. Any Romish reader of The Other Catholics is sure to have moments of envy. Some might appreciate, for example, the gender balance of the Church of Antioch’s onetime husband-and-wife leadership team—the “conjugal episcopate”—or its capacious understanding of Catholic universality. Others might miss the inward posture of the Tridentine Mass. Parts of me want each of these things. And if I have not said so clearly enough already, I liked what I experienced at Light of Christ. The traditional him’s and Lord’s sometimes distract me from my prayers, while seeing a woman as an officiant didn’t. Even the best Roman priests I’ve known could learn a thing or two from her. Byrne’s account of the independents, however, reminded me of a poster a Quaker friend of mine had on his wall, depicting the tangle of sectarian roots and branches that make up the Quaker tree. The Church of Antioch, for instance, underwent a schism during Byrne’s research. What these communities gain in flexibility and self-determination, they lose in continuity and expanse. To be a Roman Catholic is to accept certain compromises—to live by rules that might change too quickly or too slowly for one’s taste, to worship alongside people one may disagree with, to tolerate a manifestly flawed institution rather than jumping ship. We can’t always have what we want from the church, or even what we feel we need. Yet through these compromises we bind ourselves to 2,000 years of meditation on the Gospel, together with a billion compromising people at once. The independents remind us, at least, to nurture within our fold a spirit of exploration and experiment—in liturgies, in cultures, in governance, in orders. But they also remind us that, to remain whole, there must be the humility of limits. Thank you for a thoughtful article. The Catholic Church is a big tent and it is often easiest to stay in the section that is most comfortable. Perhaps the experimentation necessary for progress can only take place outside the confines of the church. Thanks to Nathan Schneider, and to Fr Teri Harroun, the woman priest who presided at Light of Christ on the day he was part of the wonderful congregation. And hurray for the Ecumenical Catholic Communion which is the path to ordination for Teri, for myself and for many women who minister at altar and bedside and meeting and font and graveside. We have experienced Call and where there has been no path, a path has been made. It is, from the other side of the altar, in the mystery of bread and word, very hard to describe the humble gladness that we women experience as we know that we are safely where we are called to be. We are deeply aware of "all are welcome" with a signs that show we mean it: gluten-free bread, as Nathan mentioned says everyone belongs at the table; inclusive, expanded language for the Divine (Mystery, Holy Parent, Essence, Mother, Cosmic Love, Spirit of Truth) says that the Great Mystery has many names by which She/He can be addressed. Women at the altar bring a parallel and varied understanding of how Jesus, Spirit, Creator are experienced in prayer and celebration, new insights, new and sacred understandings. We, at Light of Christ, hold a deep sense of the holy present in the elements, and in the Word. We bring perspectives and uncover understandings that have been, in the past (and in most places, in the present) unavailable from the pulpit. Not better, just different, and sacred, too. Light of Christ, as well as the dozens of other ECC parishes, including the Community in Discernment in Boulder, and four other parishes in the greater Denver area, are safe havens for Catholics who have found it difficult or impossible to worship elsewhere. We have opened our doors to those who are sacramentally and spiritually homeless. It is an honor to be, through Call, a part of The Other Catholics, with exploration and experimentation to call us forth, and liturgy to bind us together with those in the pew, as well as all people in prayer and thankfulness. It is still a wonder to be amazed by One who Makes All Things New. Thanks for this response, and I'm grateful that this piece found its way to your community. Warm wishes to you! My family attended Mass recently in the annex of a Lutheran church on the outskirts of a Colorado town near where we live. Is this Mass? How does this woman have the authority to celebrate Mass and consecrate the host? It's an interesting, contested story. Read about it in The Other Catholics! She doesn't of course! She's a sacrilegious charade, a sham, revisionist, narcissist. People like her should just go and start their own new age church somewhere. Too bad so many Catholic men seem to have an unreasoning hatred of women, at least of women who understand that they are equal to men. This is what some men fear, in the deepest, darkest recesses of their fragile male psyches - and so they lash out. The tragedy for the church is that too many men in Roman collars and mitres are among this group of fearful males. Her authority comes from God. No, her 'authority' is as bogus as a $7 bill. These women are feminist frauds. Thank you Nathan for this riveting description of "other Catholics." No question we have lost so much of the Spirit by ruling that just because words are said over a person that that person is a model of leadership and behavior. Too often tepid people have been under that mantle to the detriment of the Spirit of God's Church. Ecclesia Semper Reformanda. The Church must constantly reform itself. This is another way that the Holy Spirit can renew God's Spirit in us. None of these churches seem to exist in the Northeast. I know there are similar ones. Does anyone know of any? This article also appeared in print, under the headline "The Compromise That Binds," in the May 16, 2016 issue. 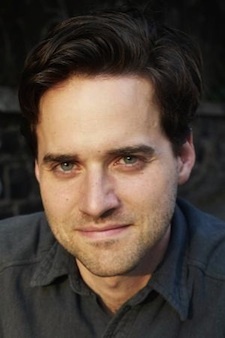 Nathan Schneider is the author of "Thank You, Anarchy" and "God in Proof." Website: TheRowBoat.com; Twitter: @nathanairplane.